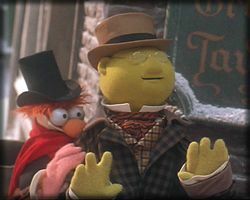 First, the good news: Buena Vista Home Video (a division of Disney) is planning to release the movies "Muppet Treasure Island" and "Muppet Christmas Carol" on DVD this year (June 4 and October 8, respectively). Now the bad news: they are planning to release both movies as full frame (aka "pan-and-scan") ONLY, not in their original widescreen format. This has been confirmed by reliable DVD websites, such as www.dvdfile.com and www.thedigitalbits.com. Why? Disney says that they've received lots of complaints from consumers about the "black bars" on widescreen DVDs, so they've decided to try out full frame versions on some "family" films. The two Muppet films aren't the only DVDs they're trying this with; the recent release "Snow Dogs" was full frame only and they are planning on releasing the successful "Max Keeble's Big Move" as full frame as well. However, other "family" films will be issued as widescreen (or in both formats). But wait, weren't the other Muppet movies on DVD in widescreen? Yes, Columbia Tristar released the other four Muppet movies on DVDs with both widescreen and full frame versions. But "Muppet Treasure Island" and "Muppet Christmas Carol" are being released by Disney, a different company. What's the big deal? A full frame DVD doesn't present the movie as it was shown in the theaters, since the sides have been cropped away to make the originally rectangular movie fit on your more square television screen. In the case of the Muppet movies, this will result in 28% of the on-screen Muppet wackiness being removed. The folks who created the movie designed it to be shown in widescreen; would you want to have paintings by Van Gogh chopped off so they fit into the frame you had handy? That said, there are people who prefer the full-frame version, so perhaps it would be best if Disney released the films in both formats (either on the same disc, as Columbia TriStar did with the other four Muppet movies). What can I do? 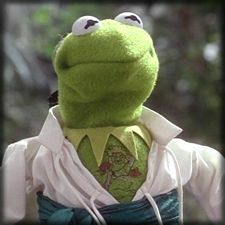 If this matters to you, contact Buena Vista/Disney and them know that you want your Muppets on DVD in widescreen. See below for more information. Can we really make a difference? Yes! Customer feedback on such matters has been successful in the past. Last fall, Warner Brothers initially released the "family" films "Willy Wonka and the Chocolate Factory" and "Cats and Dogs" as full frame only; based on feedback from consumers and DVD fans (and some bad press) they released widescreen versions as well. Hopefully if enough folks contact Disney, they'll reconsider their plans. If you call they'll ask for your home address and e-mail addresses. This is to make sure you're a real person and haven't called 100 times before to say the same thing! Providing the information adds weight to your complaint, but if you're concerned about privacy, ask them what they'll use the address for before giving it to them (and express your concerns about privacy). You may want to consider including your "real" address in your e-mail as well. Be polite. Your feedback is less likely to have an impact if you insult, swear, rant, etc. Don't use derogatory terms like "pan and scam" to refer to the full frame DVDs. 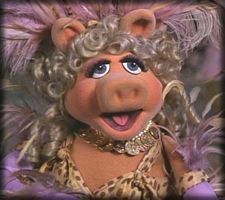 Remember, Muppet fans are nice people! Tell them you're glad to hear they're releasing the two Muppet films on DVD, but be firm about your disappointment as a DVD buyer and Muppet fan. Explain what you want, and why you want it. Mention specific titles, in this case, "Muppet Treasure Island" and "Muppet Christmas Carol" that you will not buy because they are not widescreen. After that, you can mention that you won't buy other Disney titles that aren't in their original theatrical presentation either, and if you've got them, mention how much you enjoy your current set of widescreen Disney DVDs. If you've got kids, be sure to mention that, since Disney reported angle on this is that these are "family" films and "families" don't like widescreen. What about a petition? There is an on-line petition asking for widescreen DVDs of "Muppet Treasure Island" and "Muppet Christmas Carol". Unfortunately, on-line petitions, while attractive, aren't very effective. Companies don't really pay attention to them since accountability and verification on them can be problematical. It's much more effective to contact the company directly. However, after you've done that, feel free to sign the petition - it can't hurt! Contact Disney NOW and let them know you want "Muppet Treasure Island" and "Muppet Christmas Carol" in widescreen on DVD.